I’m always looking and experimenting to find a better way to streamline my laundry process and my other work around the house. 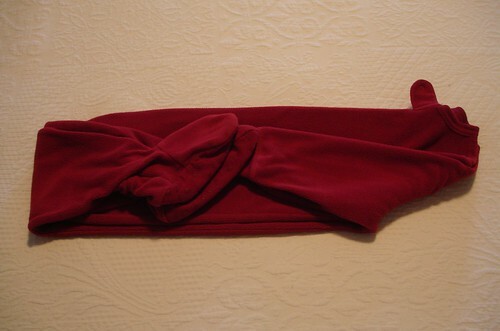 I have found that this method is the most efficient for folding those cumbersome footed pajamas. 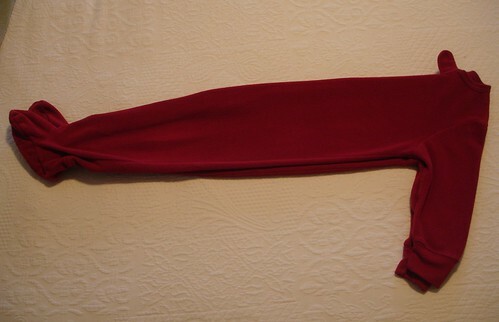 Footed pajamas fold easiest if you zip them first. 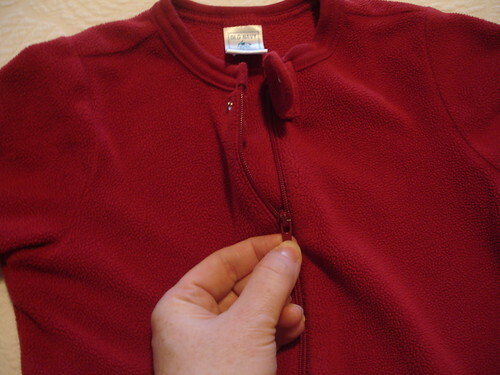 This step only adds about 3 seconds on to the total folding time, so go ahead and zip. 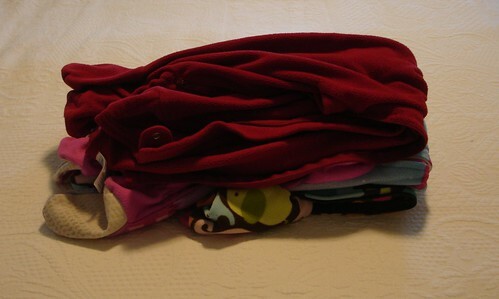 Next, fold the pajamas back shoulder to back shoulder. Now give them a good flap to get the big wrinkles out. 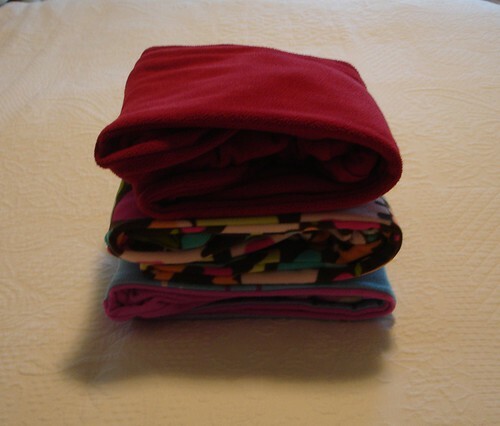 Then lay the pajamas down on your folding table and smooth them out with you hands. Make sure the feet are aligned. Remember that the goal of any folding project is to make your item into a square or rectangle. It will stack easier and just look better. 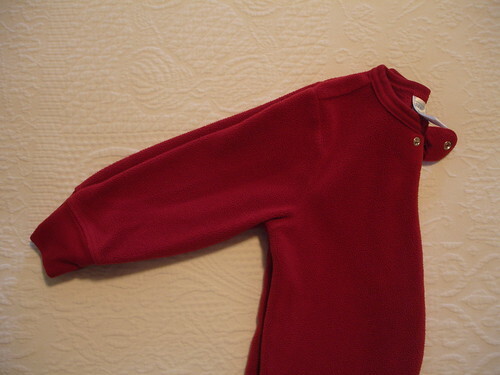 So to do this with footed pajamas, fold the arms in with the body of the pajamas. 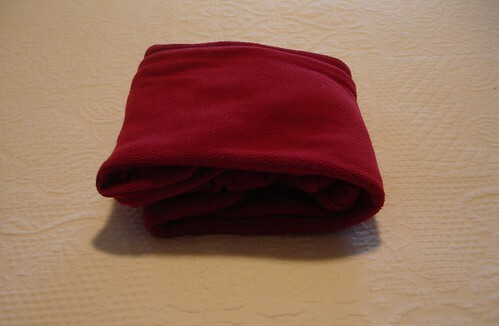 Then fold the bottom portion of the pajamas about a third of the way towards the middle. Now fold the top portion down so it meets the feet. Smooth flat again with your hands if needed to remove wrinkles. 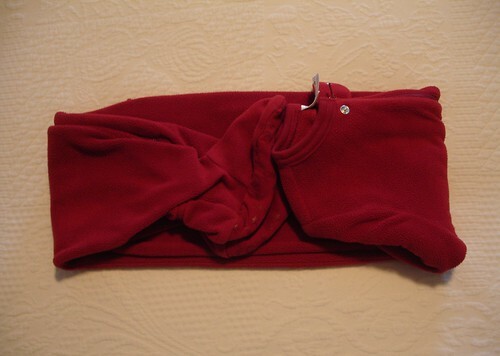 Finally, fold the pajamas in half from right to left. And your left with nice, neat pajamas. So much better! You know, I usually just toss these in the drawer and hope it’ll still close. I think I’ll try this method out. I’m putting their footies away for the season this week–and yours look way neater than mine ever do. I’m going to give this a try! Wow now I know that it can be folded neat like that.hahah I’m really going to try this one. Thanks! What a great tip – thank you! My daughter is almost two and she still wears footed pjs, I love them so much :). I’m glad it was helpful! Those pjs are notorious for taking up the whole drawer!